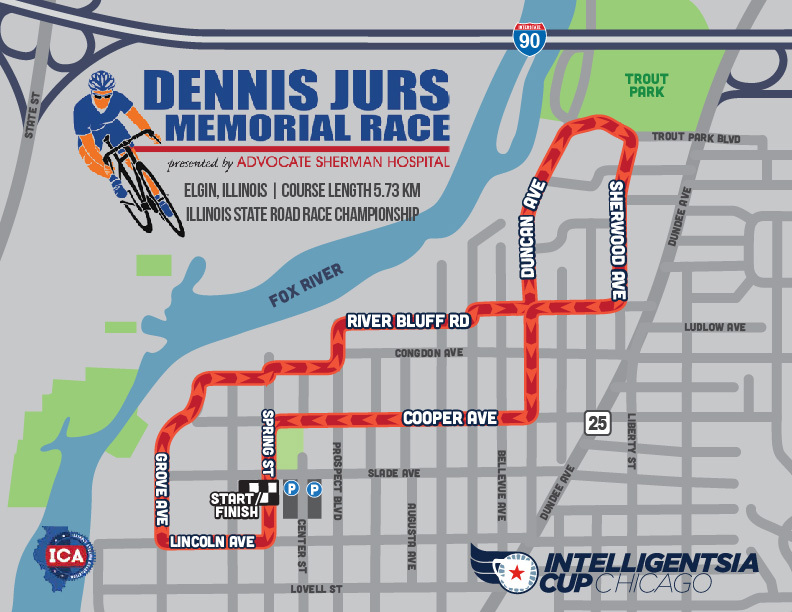 We are happy to bring back a great old road race course from a few years back to honor Dennis Jurs. Once again it will serve as the Illinois state Road Race Championship, and this year will also be in the Illinois Cup! Learn more about Dennis Jurs and the passing of Dennis’ Law, thanks to the work of Mike Keating of Keating Law Offices. Volunteer Sign Up for the Dennis Jurs Memorial Bike Race.